Abigail Brooks, a 16-year-old, is a sophomore homeschooled student. She is a bubbly girl and her joy of music is contagious. Her first instrument was the violin in the first grade. Upon starting middle school she fell in love with the double bass and has been playing it since. 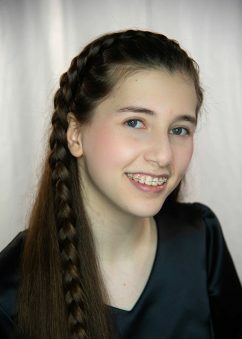 Abigail has been an active member of the Homeschool Orchestra, Instruments of Praise led by Paul Sommer. She has earned highest marks at the Houston Concert Band’s Solo and Ensemble competition for the past three years. Last year she received 2nd chair for Region 27, and fourth place at the Virtuosi Concerto Competition. During the summer, Abigail attended the AFA music camp and worked with bassist Andy Moritz. She is very excited about playing with Virtuosi for her second season and sharing her love of music with the world! Thank you to Gabriel Katz, her private instructor, for playing a key role in helping Abigail grow and succeed. Claire Cabral is a 14-year-old cellist. She began studying Suzuki cello at age five with Lisa Vosdoganes. 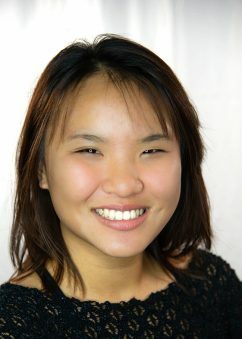 While at Parker Elementary, she played in the Parker Performing Strings for four years, participated in HISD Solo and Ensemble competitions, earning top ratings for both solos and ensembles, participated in the DFW WOW Suzuki Institute Orchestra and was principal cellist in HISD’s All-City Symphony Orchestra. 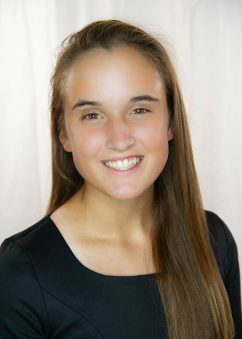 Since she began middle school, she has participated in AFA Chamber Music Academy and AFA Summer Music Festival, where she was principal cellist in the Camerata orchestra, and made Region 23 Symphony Orchestra in 2016 and 2017. This will be her third year in Meyerland Performing and Visual Arts Middle School’s Sinfonia Orchestra, and her second season with Virtuosi. 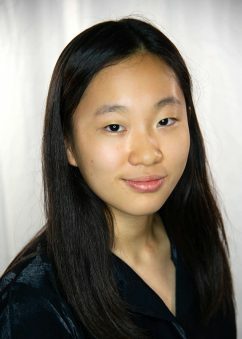 She currently studies cello with Daphnee Johnson, and piano with Yung-Chiu Wang. Her other interests include reading, studying philosophy and ethics, and baking. Drew Cain, age 18, has been studying violin since age six and for the last eight years has been under the tutelage of Sophia Silivos. Drew’s previous teachers were Quan Jiang and Sojin Kim. Drew studied piano with Timothy Hester for five years as well. 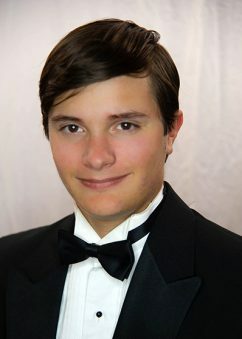 This season is Drew’s seventh as a Virtuosi member and his last as a high school student. 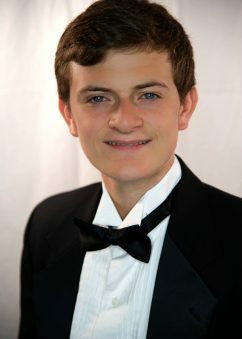 Drew previously received an honorable mention in the Helen B. Olshan Foundation Concerto Competition and previously auditioned for and was placed in a Region 23 TMEA regional orchestra. 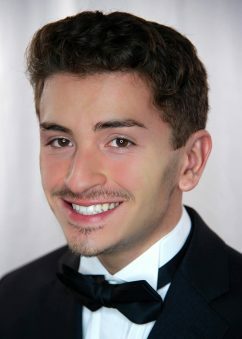 Drew is currently a 12th grade student at Emery Weiner School where he enjoys friends, theater, music, and his teachers. Mateo Calderon, 15, is a sophomore violist at Cypress Woods High School where he is a member of the Chamber Orchestra under the direction of Victoria Campion. 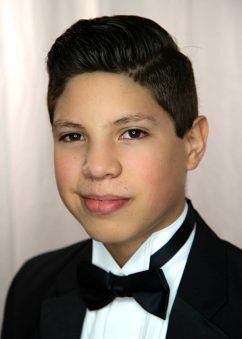 Mateo is a student of Dawson White, who is a violist in the Houston Grand Opera and The Houston Ballet Orchestra. He began playing viola at the age of 11. He is a member of The Houston Youth Symphony and this is his first year in Virtuosi. He was also invited to be a part of the Shepherd School of Music Chamber program at Rice University and this is his third year. He participated in the St. Thomas University Orchestra as well. 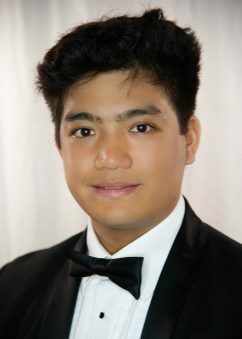 Mateo made Region 27 Orchestra in 2015, 2016 and 2017. He won a 1 rating in State Solo and Ensemble competition at Austin in 2018. He performed a Concerto in G major at UIL competition and got a 1 rating. Mateo is a member of three clubs: Model UN, Interact Club, and Spanish National Honor Society. In 2017, he was a volunteer at Spillane Middle School, helping Mrs. Adams tutor beginning viola students. Mateo and his friends in 7th and 8th grade played at hospice care facilities as volunteers. He participated in the Saenz All State Camp for the past two summers. In 2016, he participated in the Virtuosi Summer Camp and St. Thomas University Camp. Mateo is a straight A student and is bilingual in Spanish and English. He enjoys watching movies and tv shows on Netflix with his friends. 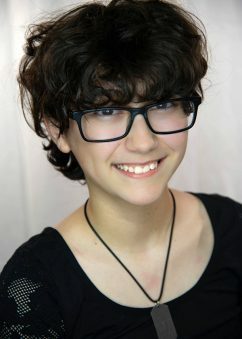 Sara E. Conner is a 16-year-old junior who attends Cypress Woods High School. She started playing violin at the age of 11, studying with Caroline Ewan. This is Sara’s third season as a member of Virtuosi of Houston. She traveled with Virtuosi of Houston to rehearse with the Chichester University orchestra and perform at the Chichester Cathedral in England. Through Virtuosi of Houston, she had the opportunity to encourage young musicians with the Touch of Music program. Sara played at the Clazz Music Festival in Arcidosso, Italy in 2017. 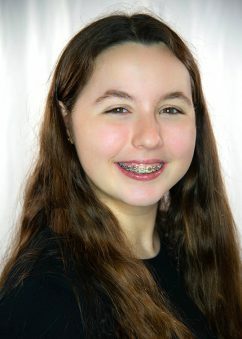 As a freshman, Sara joined the Cypress Woods Chamber Orchestra, directed by Victoria Campion. She has attended Baylor University Summer Music Camp and Texas All-State Strings Music Camp. 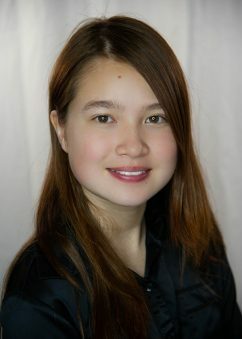 Sara plays the piano, enjoys playing at Epiphany Lutheran Church and various volunteer opportunities in her community. Melissa Escobar is 18 years old and a senior at Pasadena Memorial High school. She started playing viola in 5th grade, and soon in her 8th grade year, she tried out for TMEA Region 19 and recently made All-State. Besides keeping busy with Virtuosi of Houston during the school year, Melissa also joins summer youth orchestras such as AFA summer music festival. This year is Melissa’s second year in the Virtuosi of Houston orchestra. Besides playing the viola, she enjoys Mexican food take outs from “El Borrego” taco truck, watching American cartoons such as SpongeBob Square Pants and Steven Universe, and is an obsessed meme collector. But most importantly, she loves her one-year old German Shepherd, Chapo Escobar. Faris Ghandour, 17 years old, is a senior at Cypress Falls High School and is in his third and final year at Virtuosi of Houston. He started playing clarinet at the age of 10 and is currently studying with Sasha Potiomkin. 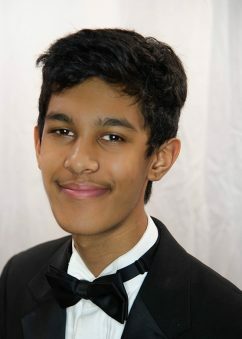 Faris is first chair of the school’s Wind Symphony, directed by Mark Edenfield. Since 6th grade, he has received Division One ratings at UIL Region Solo and ensemble and has been in the Region band since 8th grade, and has made Area in 2016. In the summer of 2016, Faris participated in the AFA Summer Music Conservatory, under the direction of Petko Dimitrov and Dr. Clifton Evans. 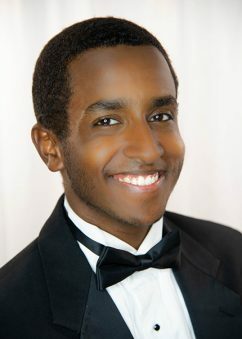 Faris has also received Sweepstakes at UIL while in Aragon Middle School and Cy Falls High School. Faris is currently enrolled in many clubs such as Student Council, Key Club, Mu Alpha Theta, Music National Honor Society, National Honor Society, and Rho Kappa. Mary Kathryn Gibson, a twelve year old, seventh grade homeschooled student, started playing violin at age four. 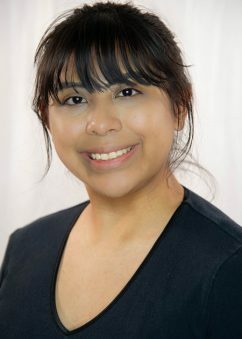 She is currently studying with Houston Symphony violinist, Rodica Gonzalez. She is also a member of the Houston Youth Symphony where she plays under the baton of Dr. Brad Smith. 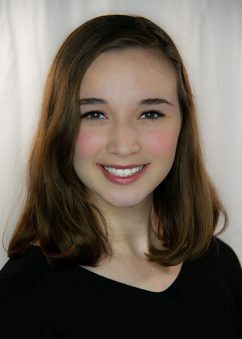 In addition to being named the Symphony League of Beaumont Outstanding Young Performer, Mary Kathryn has also been invited to be a member of the 2018–2019 Region 19 All-Region Orchestra. Two of Mary Kathryn’s five musical siblings, Daniel and Jonas Gibson, were former Virtuosi concertmasters. An avid and competitive runner, Mary Kathryn has run with Track Houston (on both the AAU and USA track teams) qualifying for regional, state and national meets, and has broken state, national, and world records. These victories have led her to the Junior Olympic Games. 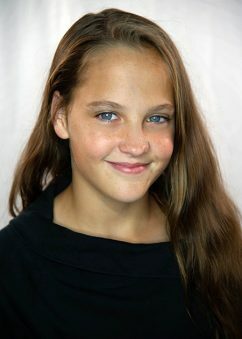 At age ten, two days before her eleventh birthday, Mary Kathryn broke the 10 year old Girls Two Mile World Record, in her age group, the record was 11:49.40 and she went 11:49.11 breaking the record by 00.00.29 seconds. This was one of the happiest days of her life. She broke this record in Staten Island New York. Daniel and Jonas the latter two of whom were both concertmasters for Virtuosi of Houston. Audrey Godfrey is a junior at Cy Fair High School where she is studying under Kevin Ray. Audrey has played the piano since the age of 4 and the violin since the age of 8 where she currently studies with Rodica Gonzalez. Past awards include: Gold Cup Award at Southern Utah String Festival for 2 years, Scholarships from the Southern Utah Performing Arts Festival in violin and piano for 5 years, Virtuosi of Houston Concerto Competition 3rd and 5th place, Superior ratings at the UIL Solo & Ensemble Contest for the 2 years, and Finalist in the Salute to Youth Competition, soloing with the Southwest Symphony. Audrey also has been a part of the first-violin section of the Region Symphony Orchestra for the past 3 years. This past summer she was accepted into the prestigious Musicians’ Institute at BYU, attended the Musicians’ Summerfest at BYU and studied under Professors Monte Belknap and Alex Woods. Also this summer, Audrey started a private studio and has loved teaching violin. Audrey enjoys being outdoors, spending time with family and friends, playing the piano and listening to music. Elizabeth Grahn is a junior at Klein Collins High School and has been playing trumpet for five years. This is her second season with Virtuosi and has also begun her first season with the Houston Youth Symphony. She has been a member of the All-Region Band for the past three years and has been receiving superior ratings at the Texas State Solo and Ensemble Contest the past two years. At school, Elizabeth is a member of the marching band, Wind Ensemble Band, full orchestra, and musical pit, all under the direction of Carlos Lara and Chris Rugila. During her freshman year, Elizabeth performed with the Wind Ensemble at Disney World via invitation, and last year she performed with her school’s full orchestra and band at the Music For All National Festival in Indianapolis. Elizabeth is currently taking lessons with Mr. Jim Austin, former principle player for the Houston Symphony. Sarah Hall, 13, is an eighth grader at Spillane Middle School and is in her second year playing violin with Virtuosi. Sarah began playing the violin at age six with Mr. Chaiwat Rodsuwan and now has been studying under Ms. Caroline Ewan for five years. She has enjoyed attending AFA summer music festival for three years and their chamber music program for two years. She was also a member of the Houston Youth Symphony in the 2016–2017 season. In June of 2017, Sarah began playing the viola; under the direction of Mrs. Jeannine Adams and Ms. Michelle Wollum, she was the principal violist in her school’s chamber orchestra, which earned sweepstakes at UIL, was ranked seventh in the state of Texas, and was a finalist in the national level competition last year. She received the highest ratings at the solo and ensemble competition as well as placing third chair in region orchestra. In addition, Sarah is a part of her school’s choir, where she also received ones at solo and ensemble and ranked fourth in region as a seventh grade alto. She also plays the bassoon in her school band under Mr. John Barton, Mr. Cole Smith, and Mr. Eduardo Garcia, having begun in May of 2018 under Mrs. Rachel Roberman. She is looking forward to hopefully joining marching band in high school. Other instruments she has played include the cello, clarinet, bass clarinet, and trumpet. 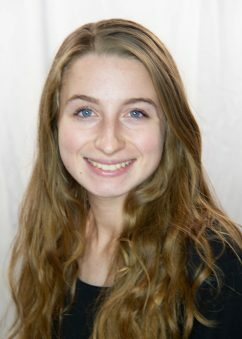 Sarah is also an avid composer and hopes to one day be a conductor, school orchestra or band director. 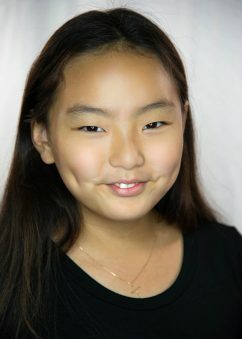 Hannah Han, a 10-year-old, is a 5th grade student at Sherwood Forest Montessori School. She began studying violin at the age of 3 at the Peabody Preparatory. At the Shepherd School of Music Preparatory Program of Rice University, she has been studying violin with Ms. Sylvia Ouellette for five years and recently with Ms. Rodica Gonzalez, a Houston Symphony member. She has performed more than twenty recitals (solo and chamber ensembles) at Rice University. She has participated in the AFA summer Music Festival for 2017–2018 as the first violin in the Symphonia and Camerata Orchestra. This is her first season with the Virtuosi of Houston. She also played piano for two years, loves singing musical songs. In addition to music, she is a passionate fencer and has recently won a gold, silver, and bronze medal from three regional fencing competitions. She likes reading, swimming, rock-climbing, ice-skating, science, and math. Inspired by the performance of cellist Jeffrey Butler during a Houston Symphony educational event, Mary Brook began studying cello with Ms. Cindy Fu at the age of 8. 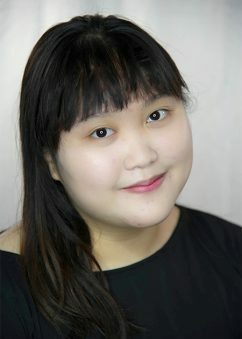 She has participated in the AFA Chamber Music Academy and AFA’s Summer Music Festival, where she was principle cellist of her orchestra at age 11. At the 2017 Virtuosi of Houston Summer Workshop, she met her cello idol Jeffrey Butler as faculty. Following the workshop, she also began studying with his wife, performing cellist Wendy Smith-Butler. She made the 2017 Region 13 top symphony orchestra and also earned highest ratings in the solo UIL contest. In summer 2018, Mary Brook was one of 12 young cellists selected for the junior division of the International Cello Institute, where she studied with multiple world-class cellists. She currently plays with the Houston Youth Symphony as well as the Fort Settlement Middle School Chamber Orchestra, directed by Mrs. Angela Peugnet and Mr. Roger Vasquez. She is a competitive swimmer, an opera enthusiast, and a devout Houston Astros baseball fan. Steve Hernandez is 16 years old. He began playing the violin at age 10 and is an 11th grade student at Dobie High School. In 7th grade, joined the top group in Thompson Intermediate. During his last school year at Thompson, he was awarded the Directors Choice Award which is awarded to one outstanding student every year. Steve qualified for Region Orchestra from 2015 to 2019. Steve was a member of the Bay Area Youth Symphony from 2014 to 2017. He is a member of the top orchestra group for upper classman. Steve’s private teacher is Madea Guldedava. Steve’s faith belongs to Christianity and he has been a member of Church of Christ since birth. His plans for the future are to be part of a recognizable orchestra. Steve has a great passion for music and hopes to pass on that passion to the younger generation by becoming a private teacher. Zahi Hussain is 15 and currently a sophomore at Clear Lake High School. 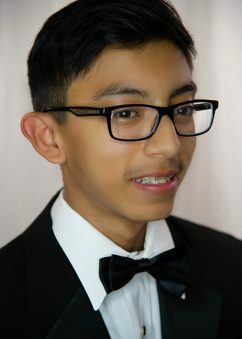 His school orchestra, taught by maestro Black and maestro Buffaloe, placed 2nd in the TMEA Honor Orchestra for both of the years that Zahi was involved, and he currently sits at first chair. This orchestra was chosen to play at the Midwest conference in Chicago in December of 2018. Zahi made the Philharmonic orchestra in TMEA Allstate for 2018–2019, and also placed first chair in his region orchestra. He is a violist and started playing in sixth grade. Playing the violin has always been one of his greatest hobbies. Zahi also enjoys playing tennis, basketball, and video games with his friends. Emme Jennings, 16, began violin at age three with Brigette Yawn, studied 7 years with Caroline Ewan, and since 2016 has studied with Rodica Gonzalez of the Houston Symphony. 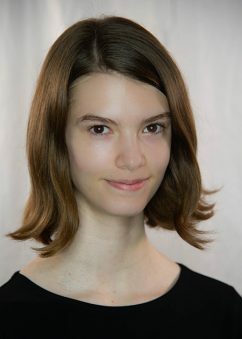 She began piano at age four with Barbara Sollock and has studied with Judith Habermacher since 2011. Emme has participated in Kenneth Goldsmith’s master classes, Rick Muchow’s praise band workshop, AFA, Texas Strings Camp, and Virtuosi’s Summer Workshop. 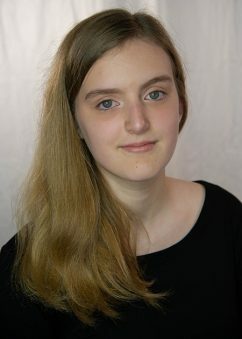 She has earned National Guild of Piano Teachers’ Top Talent ranking 2013–2018, and earned first violin section for Region 27 Orchestra in 2017. Emme is dedicated to serving and is grateful to Virtuosi for providing opportunities to play violin and piano for community and charitable events and to mentor in the Touch of Music program. It has been a joy for her to serve in her home church and in other churches playing violin, 6-string electric violin, and keyboard. Emme is a 2nd degree black belt with Cho’s Tae Kwon Do, where she assists in teaching children’s classes. 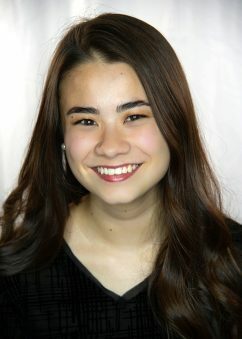 Emme has been blessed to perform with Lone Star College under John Wolfskill and Alan Johnson, on Cypress Radio, with Vivaldi Strings in concert with The Piano Guys, and with Virtuosi for Inaugural celebrations in Washington, D.C.
David Kim is a sophomore at Clear Lake High School, and is taught under Courtenay Vandiver Peirera. He has been playing cello since the age of 8 and has been in the top Region 17 orchestra since 6th grade, where he was recently placed as the principal cellist. 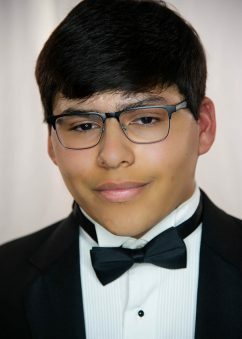 He was also awarded division one for all of the UIL solo competitions he participated in, and was placed into the All-State Philharmonic orchestra in his freshman year. David participated in multiple charity concerts, notably playing in a quartet to raise money for those affected by the Santa Fe shooting, where they raised over $1,000 dollars. He enjoys playing for his church and likes playing sports and games with his friends. 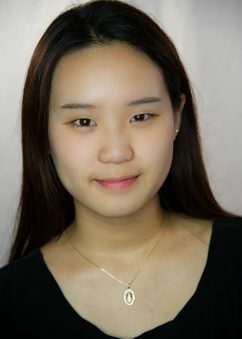 Minjoo Kim is a 15 year old sophomore attending Cypress Ridge High School, who has been playing the violin since 5th grade. 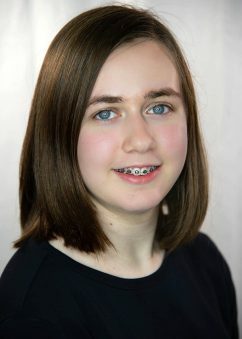 She currently plays in her school’s Chamber Orchestra, under the direction of Christopher Mustell and Catherine Walker. Receiving 1st Division ratings for all of her solos for UIL Solo and Ensemble since 6th grade, she also has experience with Region Orchestra, and State Solo and Ensemble. Minjoo is active in extracurricular activities at her school, such as Key Club, Student Council, Debate club, and more. She is also participating with the Houston Youth Symphony this year. One of her favorite classical pieces is the 4th movement of Mendelssohn’s “Scottish Symphony”, Symphony no. 3 in A minor. 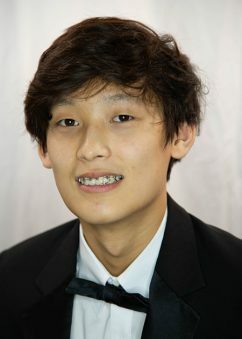 Jonah is a senior at Cy-Falls High School where he is under the direction of Dr. John Ricarte. Jonah began playing cello in the 6th grade, and has since studied under professionals Artan Zhuri and Hellen Weberpal and is currently instructed by Sam Houston State University Professor, Daniel Saenz. Jonah has participated in UIL Solo and Ensemble competitions, earning top ratings for both solos and ensembles, and has made Region Orchestra the past 5 years. Over the summer of 2018 he attended the Texas State University Strings Camp and the Chloe Trevor Music Academy where he played alongside Chloe Trevor, Cellist and Conductor Kirk Trevor, and Cellist Evgeni Raychev. 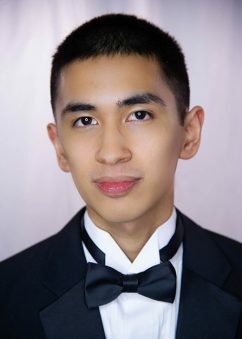 Recently, he placed runner up in the 22nd Annual Young Artist Concerto Competition and joined the Young Artists Chamber Orchestra, Virtuosi of Houston. In addition to music, Jonah played competitive soccer for 8 years and 3 years of high school soccer. Jonah plans on attending music school after graduation. Christina Lewellyn is a junior at Shadow Creek High School in Pearland. 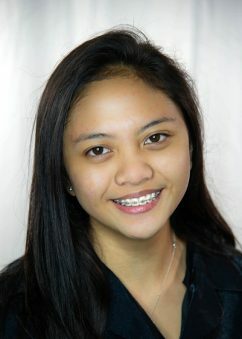 This is Christina’s second year with Virtuosi. She has been playing bassoon for five years and has also played piano since the age of three, for 14 years. Christina has been a principal bassoonist in different youth orchestra groups around the United States for the past 4 years and has been featured as a bassoon soloist in works such as Stravinsky’s Berceuse. She has earned All-State recognition for bassoon through TMEA and various Area and Region recognitions. In addition to her successes with bassoon, Christina is also an accomplished pianist. In 2015, she was accepted and spent 3 weeks in Arcidosso, Italy with InterHarmony International Music Festival to further advance her piano skills. 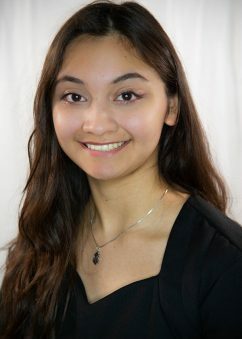 Christina has won numerous area wide piano competitions and earned her High School Diploma in Social Music through the National Guild of Piano Teachers. Outside of musical activities, Christina is an active member of her high school’s tutoring club and is a member of the National Honor Society. Christina is an officer and a founding member of the Shadow Creek High School Lion Dance club. orchestra at St. Peters Methodist Church. Cade previously took private trumpet lessons from Dr.
with aspirations of furthering his education by pursuing a masters and doctorate degree in music. Julianna Marenco, 13, is a bassist in 8th grade at Smith Middle School. She has been a part of the Smith Chamber orchestra for 3 years. She started taking bass lessons at age 10 with Gabriel Katz and has been studying with Nick Puccia for 2 years. Julianna has been selected to be in the Cy Fair Region 27 Orchestra since 6th grade. She has also earned top ratings for both solo and ensemble performances in the CFISD UIL competitions. Julianna is currently involved in a youth ensemble that is working towards their Girl Scout Silver award by playing at local nursing homes. When she is not playing the bass, Julianna enjoys rock climbing, art, music, movies, chess and baking. She participates in her school’s art club and chess club. Julianna has two older sisters who play the viola and cello. 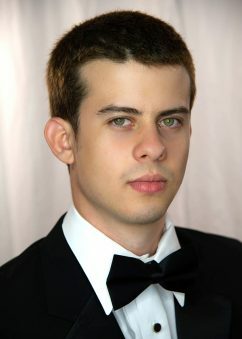 Victor Mauriz is a Cuban cellist and Cypress Creek High School graduate. He has been playing cello since he was 8 years old and also plays the piano. He was a member of the Children’s Orchestra and Chamber Orchestra in Holguin, Cuba. In 2012, he continued his studies at the National School of Music in Havana. Victor was an active cello player during cello festivals celebrated every year in his country since he was 9 years old. He played in both the 2012 and 2014 National Cello Competitions where he received the first prize award and was also best Student in the music category. In October 2014, Victor participated in the Leo Brower festival, called “Celloplus”, to which acclaimed cellist Yo-Yo Ma was invited. In 2015 he moved to Houston and auditioned for the Virtuosi of Houston Orchestra. Victor has performed in many important places in Houston under the tutelage of Andres Orozco, Andrzej Grabiec and Franz Krager. Occasionally, he was invited to play with the Houston Symphony, in which he played beside Brinton Smith. 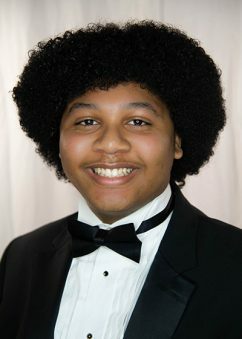 Jonathan Mitchell, 17, is a junior bassist at The Kinkaid School where he is a member of the Orchestra and Symphony Orchestra under the direction of Steve Kastner. He is also a percussionist in the Band under Russell Vogt. He has been playing the double bass for 9 years. 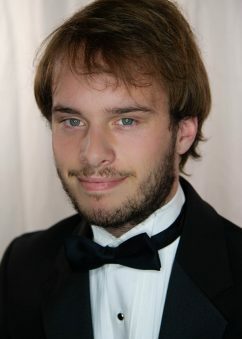 A student of Donald Howey of the Houston Symphony Orchestra, this is Jonathan’s third year with Virtuosi. He was previously a member of the Houston Youth Symphony and the Greater Houston Youth Orchestra. Jonathan has been selected to be in the All-State Texas Private School Music Educators Association (TPSMEA) every year since 2015. Jonathan’s summer studies have included the Bradetich Double Bass Master Classes at the University of North Texas (2017), as well as Interlochen Arts Academy in Michigan (2000–2016). He has also been a member of the Jazz Reboot Band and currently plays the drums for a rock band. 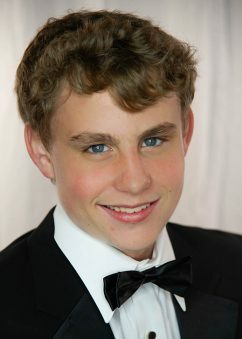 While excelling in school, Jonathan also actively participates in all aspects of Technical Theatre at Kinkaid. He will be the lead sound engineer for 2018–2019 Kinkaid productions. Outside school, his hobbies are video games, travelling, scuba diving and cooking. 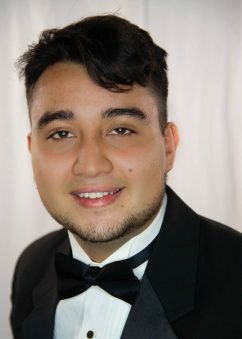 Banzer Harold Perdomo Parga, 16, a junior at Seven Lakes High School is the Principal Bassoonist in Wind Symphony, Full Orchestra, and prior member of Trinidad and Tobago National Youth Philharmonic. He commenced bassoon at the age of 11 along with experience in piano and oboe. Harold studies under the direction of John Mays, Desiree Overreen, Kenneth Listhrop, and Susan Steber. Currently, he takes lessons from Lynn Wang and Brett Van Gansbeke D.M. and performs weekly at St. Faustina. Throughout secondary school, he maintained 1st chair in region as well as enrolling in The Royal Association of Board of Music (ABRSM) passing with distinction. Also, he procured region 23 freshman band of 2016–2017 and later selected for region 23 symphony orchestra. Harold qualified for state solo and ensemble the past two years with a superior rating on his solos. Besides playing the bassoon, Harold excels in school and has gained athletic recognition, including the National Youth Milo Games in Trinidad and Tobago earning second place in the 100m sprint. Harold will continue to study bassoon performance and incorporate it into his future endeavors. 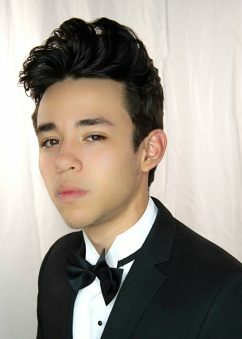 Benjamin is a fourteen-year-old Venezuelan cellist, trained in the National System of Youth and Children’s Orchestras and Choirs of Venezuela. He began his musical studies at age 7. Since then he has belonged to several local orchestras and participated in numerous concerts and recitals. In 2016, he began his studies at the Simon Bolivar Music Conservatory in Caracas, where his mentors were the Maestros Francy Vasquez and Juan J Romero. In 2017, he is part of the Chacao Youth Symphony Orchestra, under the baton of maestro Ulyses Ascanio, as second cello. In April of 2018, he emigrated to the USA and is part of the orchestra of Mayde Creek High School and the Houston Youth Symphony Philharmonia Orchestra. He loves music and wants to be a professional musician. 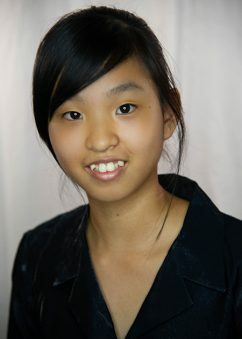 Emily Jihee Sonn, age 17, is a junior at Memorial High School in Houston, Texas. She began learning violin at her age 7 in South Korea. After moving to the U.S. at 11, she continued studying with Ella Burgerenko, Michelle Choi and Jiyeon Min. Currently, she is under the instruction of Katrina Bobbs Savitski. At school, she has been a member of Honor Orchestra, directed by Danielle Prontka and Matthew Chen. She could experience ensemble music in addition to orchestra music for several years. Furthermore, she joined Houston youth symphony for 4 years from 5th grade. During the summer, she attended 2016 Texas String Camp and 2018 Credo Music Camp and Conservatory Audition Workshop. As an active soloist, she won the 2018 Clear Lake Symphony concerto competition. Also, her solo performances both in district and in state have ranked in outstanding performance for past two years. In addition, she has played two times as a concert master in region 27 concert and joined 2017–2018 all state orchestra concert. Outside of music, Emily likes listening to K-pop, watching Korean broadcasting and spends her time with family, friends and her cat. Reece Soto is a 17-year-old junior at Katy ISD’s Mayde Creek High School. He is the principal violist of the Mayde Creek High School Orchestra’s top ensemble, the Sinfonia, under the direction of Michael Chandler. Reece studies viola under Dawson White, violist for the Houston Ballet and Grand Opera Orchestras, and UST viola instructor. He began playing the viola at the age of 12 prior to entering 6th grade and has participated in numerous region and solo/ensemble competitions, earning a spot in UIL Music Region 23’s top orchestra. 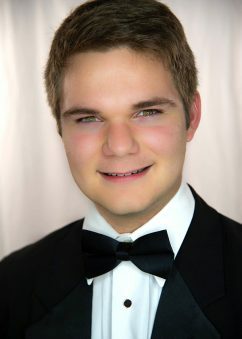 He’s received multiple awards for solos performed at UIL’s Texas State Solo-Ensemble Contest, earning a spot at state. A gifted writer, Reece is currently working on a non-fiction novel for future publication. 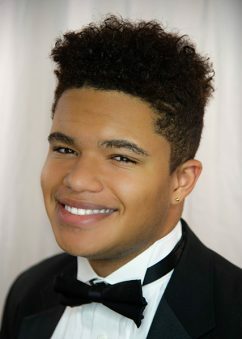 Coming from a musical/artistic family, Reece like his two siblings before him, is looking to attend Berklee College of Music in Boston, to study composition, majoring in film scoring, as well as studying screenwriting. Grant Velasquez has been playing viola since he was eleven. He has studied under Rene Salazar of the Houston Ballet. Other instruments he has played include piano, guitar, and electric bass. This will be his fifth season with Virtuosi of Houston, although he has been performing on their behalf within their Small Ensemble Program and Summer String Workshops since 2012. He is very thankful to have had the opportunity to travel to France, England, and Washington D.C. with Virtuosi. He has also qualified for a seat in the Region 27 orchestras. Outside of classes and Virtuosi, Grant busies himself with VR gaming and game asset creation. He also enjoys travelling the world with his family and sharing his gift of music with others. 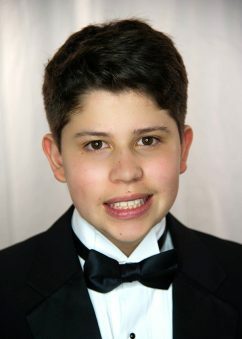 Lucas Velasquez is a 14 year old freshman at Cypress Ranch High School, under the direction of Elizabeth Ledford. This is his first season with Virtuosi of Houston. 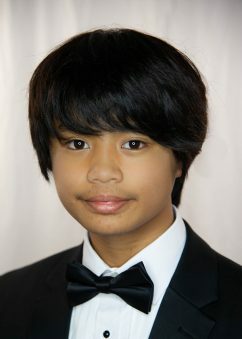 He has been playing the cello for 3 years, currently studying with Mrs. Wendy Butler of the Houston Ballet Orchestra. He has also been studying piano for 8 years and guitar for nearly 9 months at All About Music and Arts. Lucas has participated in the 2017 Virtuosi of Houston summer workshop and was a member of Region 27 Symphony Orchestra for his 8th grade year. He enjoys playing games, spending time with friends, folding paper airplanes, traveling around the world and baking cookies.